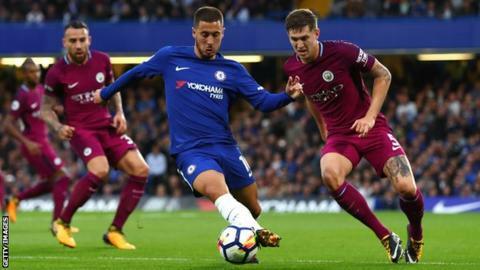 Proposals to end the equal distribution of overseas television money have been abandoned after Premier League clubs failed to reach an agreement. The six richest clubs - Manchester City, Manchester United, Tottenham, Arsenal, Liverpool and Chelsea - wanted their appeal reflected in their income. A plan suggested 35% of revenue from the sale of global TV rights should be divided based on league position. But a meeting set for Wednesday was called off as no decision was close. The Premier League said on Tuesday: "It has become clear that there is currently no consensus for change, meaning tomorrow's club meeting is not necessary." At the first meeting between the 20 Premier League teams on 4 October, it had become clear that the plan - presented by the league's executive chairman Richard Scudamore - was significantly short of gaining the support of the 14 clubs needed for it to be passed. The £3bn overseas television deal for 2016-19 generates £39m annually for each club - and for the previous 25 years, there has been an equal sharing of international broadcasting income between the clubs. But contracts for international markets such as China and the United States for the period between 2019 and 2022 have risen significantly in value, and the big six clubs had planned on trying to secure a greater share.